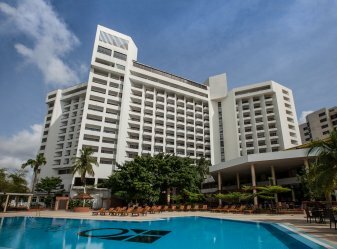 Eko Hotels & Suites is the most preferred hotel in West Africa and it's all about the right mix! Located in the heart of Victoria Island and shielded from the hustle and bustle of the Lagos metropolis, we offer our corporate clients and walk in guests a perfect blend of relaxation, activities, and African tradition delicately infused to meet the highest international standards. are passionate about serving you and look forward to having you. Welcome to Eko Hotels & Suites, Nesting International Standards with African Hospitality.